Quick post to kick off the new Holiday Catalog being released TODAY! Woohoo! Today is also my Holiday catalog kick-off! I am so excited to share the catalog with some of my customers and friends! 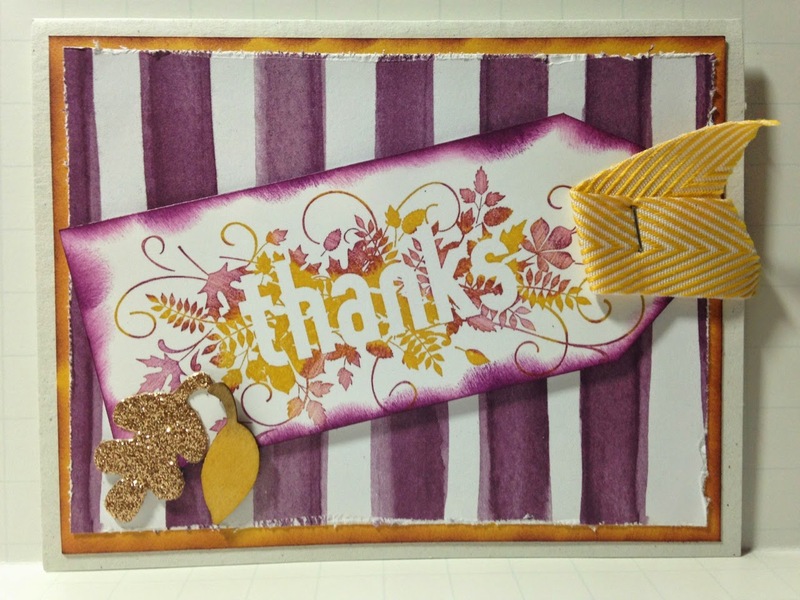 You are all going to LOVE what Stampin' Up! is bringing to you! I used the most of the same supplies but made the card two ways (the second way is stepped up a bit)! I wanted to show you that you can step up projects with only a few extra supplies! Sorry, I am really running late this morning so no specific supplies... leave a comment if you'd like them and I will add them tomorrow! Thanks for understanding! Let's try that again. I hit send before I was done! Love your cards today. I think my favorite is the 2nd one. That stamp set that we got at convention is adorable!! Love the yellow/purple combo. 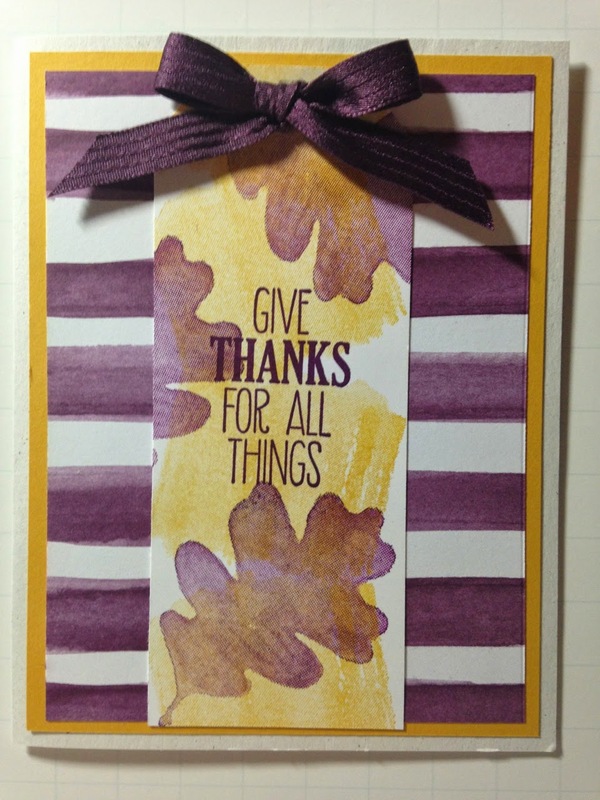 Such a fun color scheme for a Fall card. I hope your event went well! It's so fun to show off all of the awesome things in the Holiday Catalog!